For the lovers of handmade baked and single design enamel. Created at JLB studio in North Carolina by the owner and teacher of enamelling Janet Burgess, herself. 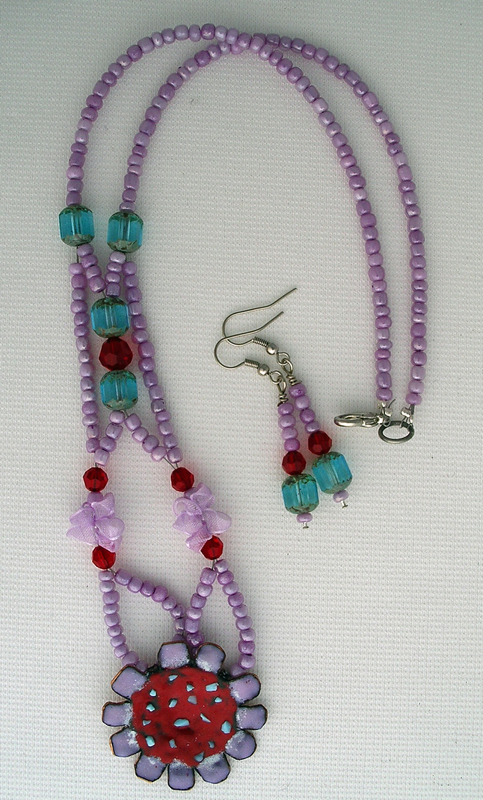 This rare and unusual set is showcased with aqua’s and reds, plus tiny lilac ribbon bows. This set is sure to get admiring glances and will give any outfit the ‘wow‘ factor!! Size: Medium/large.